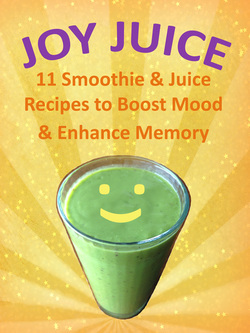 11 smoothie & juice recipes help you increase the amount of mood and brain boosting ingredients in your diet. These ingredients support cell renewal, combat oxidative stress, enhance creativity and serenity, and help your body produce more serotonin and endorphins ~ all good things needed to help you feel more naturally joyful throughout your day, week, and life! Click on the image to download the FREE report! !